Successfully Added Smart Wi-Fi Camera Doorbell - Motion Detection, Night Vision, Android and iOS Apps, Remote Control (Gold) to your Shopping Cart. Increase your home security with the smart Wi-Fi video and audio intercom that features motion detection and night vision. Get a free app for Android or iOS and answer the door from the comfort of your couch. 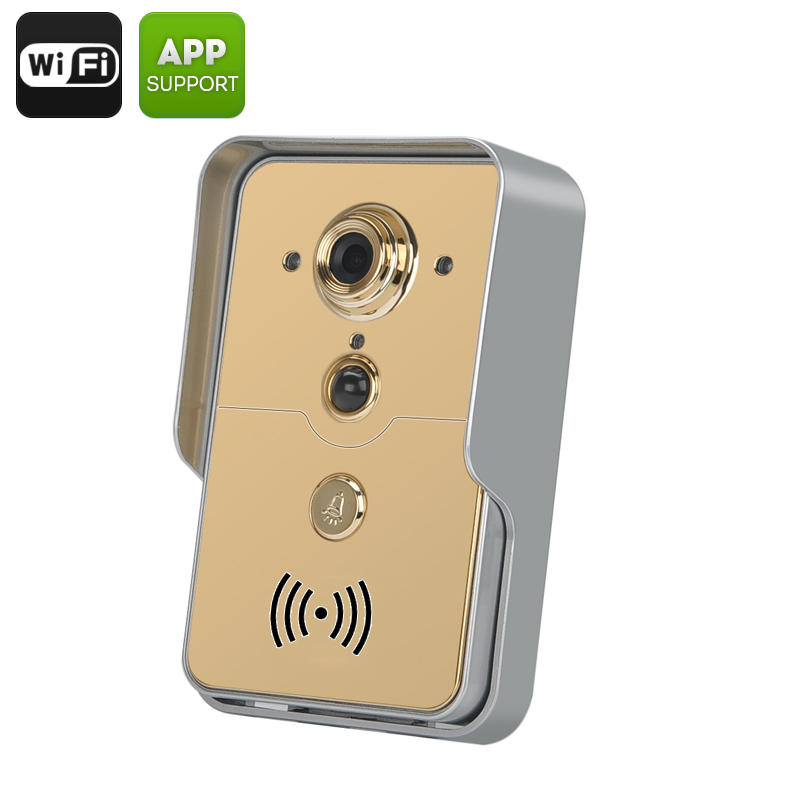 The smart Wi-Fi intercom is a reliable security tool. It will let you see your visitors and talk to them from behind the closed door – making sure you have all the information before letting them in. The doorbell comes equipped with 3 IR LEDs and will let you see for up to 3 meters after dark. It will also detect motion and always alert you when there is anyone next to your door. Thanks to the 1/4 CMOS Sensor, you will also be able to snap clear pics of your visitors, should you have any suspicions. The smart intercom comes with two-way audio and you will be able to talk to your visitors at any time. Hook it up to your electronic lock and you will have the option of opening the door remotely – which is really convenient for a big house. The intercom comes with free apps or Android and iOS. With the apps, you will be in total control of your home security without heavy installations or excessive spending. This small gadget is easy to install and will be a big improvement to your home security. So, if you are not yet ready to invest into professional home monitoring or security system, the smart intercom is a great start.